As states and transportation agencies increasingly use P3 terminology, legislation and approach vary nationally. 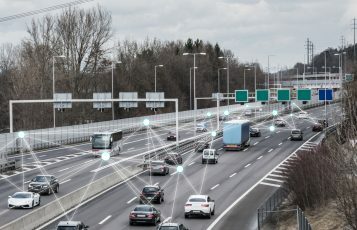 States and transportation agencies are increasing the use of public-private partnerships (P3 or PPP) or tolling and tolled express lanes to advance projects through the use of private capital as the gap between available public funding and investments needed to maintain or rebuild existing infrastructure continues to grow. Five services are generally required with a transportation project: design, build, finance, operate, and maintain; DBFOM. The traditional approach for public projects is design-bid-build (DBB) with design and build separately contracted and with public finance. The FHWA Office of Innovative Program Delivery has a broad definition of P3, including D-B, DBOM, DBF, DBFOM and O&M Concession. A more restrictive definition in common use is that a P3 is public infrastructure using private finance in a long-term partnering agreement, which excludes D-B and short-term DBF. There are also several variations of a full-fledged DBFOM. 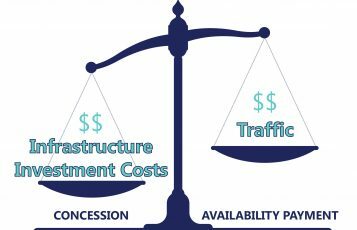 Most transportation P3s rely upon either the concessionaire’s financing being paid through the receipt of toll revenues (the concessionaire taking both demand risk and toll collection revenue risk) or through availability payments from the owner (the concessionaire taking appropriations risk). States are not consistent in what is defined as a P3. Currently, 33 states and Puerto Rico have P3 enabling legislation for transportation projects. 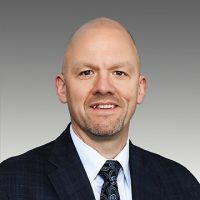 Legislation varies considerably by state for tolling authority, project approval, project cost, leasing, duration, and use of availability payments. In Florida, P3 projects procured under s.334.30, F.S. include Build-Finance, Design-Build-Finance, and Design-Build-Finance-Operate-Maintain. 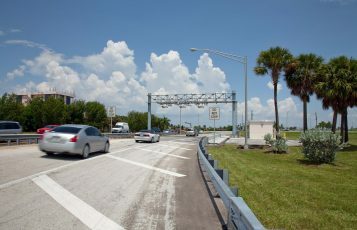 The finance portion of BF and DBF projects does not imply a long-term commitment by the contractor with the Florida Department of Transportation (FDOT) where finance payments must be within the five-year work program or up to ten years for projects over $500 million. Long-term operate and maintain triggers a statute allowing availability payments for a period up to 50 years, 75 years by exception. 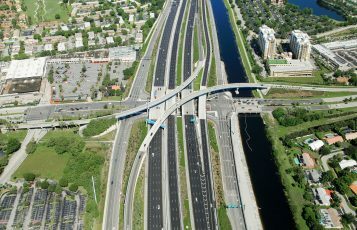 FDOT is authorized separately under Section 337.11(7), F.S., to use the Design-Build process, which FDOT considers innovative, but not a P3. D-Bs have become well-established in FDOT with 35 in FY 2014 alone. Internally, we consider a P3 as a project with a long-term operations or asset maintenance requirement, usually including private finance, such as DBOM, DBFOM, or O&M Concession. D-B and DBF projects are unlike a long-term operate and maintain P3. Owner support services for a D-B or a short-term DBF project generally does not include the complex alternatives analysis, value for money, finance, and operations and maintenance specifications typical with a full P3. Tolling and financing transportation projects have long been the province of toll agencies. With the increasing use of P3s and tolled managed lanes, state DOTs and other transportation agencies are more engaged in innovative project approaches. This is still a new and developing field and terminology and legislative authorizations should tend to standardize over time.